THE WAR OF THE ENGINES — WHAT PRICE FOR WHAT OUTCOME? If the programme of US sanctions cuts Russian military industries off from imports from the Ukraine, the new costs imposed on the Russian side may turn out to be less than the price of the sacrifice on the Ukrainian side. According to Russian military sources, that’s because, starting last year the Kremlin ordered the transfer to Russia of as much Ukrainian military design and production capacity as can be bought with hard currency across the frontier. The immediate priority, the sources say, are Ukrainian companies producing engines for aircraft, ships and submarines; turbines for power plants; and electronic components and control systems for guided munitions. Vaycheslav Boguslayev, chairman of the board of Motor Sich, the principal supplier of engines for Russian combat helicopters, has confirmed a plan to establish a “joint engineering centre” with Russian aircraft engine manufacturers. Motor Sich will not comment in detail on what this centre will do, and how far it may go to substitute for manufacture of the engines on Ukrainian territory. 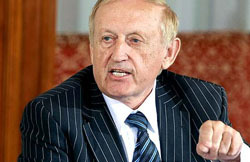 According to a recent statement by Boguslayev provided by his Moscow spokesman, 51% of the new enterprise will be owned by the Russian side, 49% by Motor Sich. Busch adds: “The aerospace firm Antonov is based in the Ukraine and is one of the major suppliers of aircraft for the Russian Air Force and for Russian arms exports. Russia’s state arms exporter Rosoboronexport sold $13.2 billion in weapons and military equipment to foreign buyers in 2013. These arms deliveries in 2012-2013 included 13 An-140 and one An-148 transport aircraft. Rosoboronexport has just had to cancel a multibillion-dollar international contract for the sale of the new An-148 planes because the engines are produced in the Ukraine. Ukraine and Russia had plans to produce 150 planes of this type worth $4.5 billion. By contrast, the US Defence Department’s calculation of its current and projected outlays for “imposing significant costs on Russia for its actions” is between $68 million and $100 million. That is according to testimony to a US Senate committee on May 6 by Deputy Assistant Secretary of Defense Evelyn Farkas. Her count includes delivery of 330,000 troop field rations, water purification units, handheld radios, Explosive Ordinance Disposal robots, concertina wire, vehicle batteries, spare tires, binoculars, and communications gear. The American numbers for military aid to Ukraine are dwarfed by the revenues now at risk at Motor Sich on account of the US sanctions. According to the latest financial report from the company, for the nine months to September 30, 2013, its sale revenues were the equivalent of $707 million; its net profit, $125 million. No tax payment is reported for the period. In 2012, Motor Sich reports paying the equivalent of $83 million in profit tax. However, it also claimed state subsidies totalling $101 million. The group is headquarted at Zaporozhiye, with more than 25,000 employees at plants located mostly in eastern Ukraine, but with two at Volochysk and Vinnitsa in western Ukraine. According to company documents, 92% of its production comprises aircraft engines and parts, and 93% of its sales are to export markets. Russia is the largest buyer, but company documents don’t reveal the precise proportion or sales figure. Other CIS states, such as Kazakhstan, Belarus and Uzbekistan, also buy Motor Sich engines, along with India, China and Algeria. Industry estimates put Motor Sich’s dependence on the Russian market at about 60% of its revenues. In November 2011, announcing a 5-year sale, supply and service agreement with the Russian Helicopters holding, Boguslayev said the deal was worth $240 million per year; $1.2 billion in total. “Engines will not be supplied under a state defense order. This contract is commercial. We’ll supply 250 to 270 engines a year during five years,” he added. 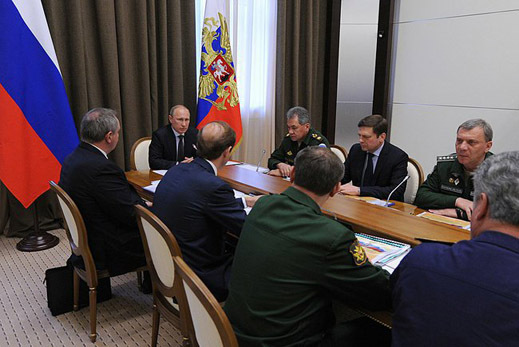 A public statement last week by Yury Slyusar (right), the deputy minister of industry in charge of military exports, claims the Russian armed forces require up to 550 new helicopter engines per annum, and that within two years 350 engines of this requirement will be manufactured at Russian plants. The deficit, Slyusar has suggested, along with refits, modernization and upgrades, will be made up by the Russian-based joint venture with Motor Sich. “We have a very large number of joint plans with the company Motor Sich. 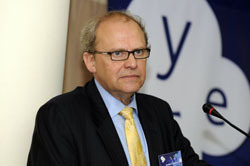 We very much hope that these plans will be implemented”, Slyusar said. 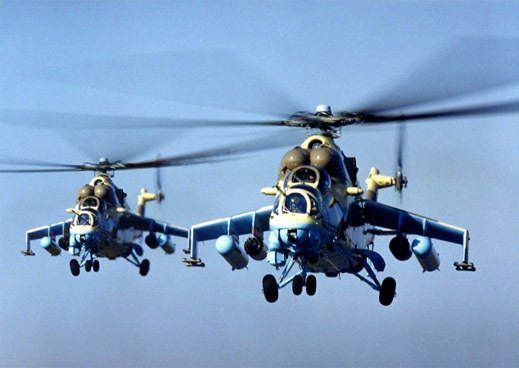 The spokesman for the Russian Helicopters holding — organizationally part of the state-owned defence conglomerate Russian Technologies (Rostek) – said it is not going to discuss what its new plan is for substituting for Ukrainian imports. Neither the Rusmet report, nor the American analysts, have anticipated the option of moving Ukrainian production technology and plant lines to Russia. Military correspondent Alexander Goltz (right) acknowledges that the scope of the substitution problem is very large. He is sceptical that the planned substitutions can be accomplished as quickly as proposed now. But he also doubts the impact will be adverse for Russian military capability. “We should keep in mind several things. First. 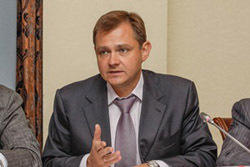 About 300 Russian enterprises are related by cooperative ties with Ukraine. That is, one-third of enterprises of the Russian defense industry obtains components from Ukraine. And in the event [this source] will be suspended, it will have serious problems. 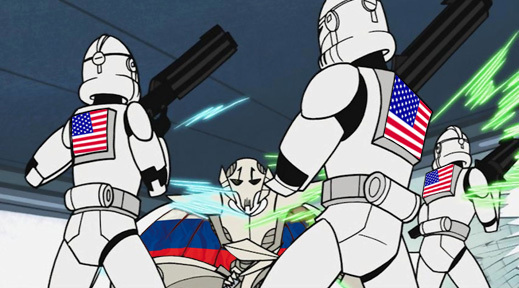 It will reduce the volume of [Russian] production, that’s certain. As a result, the state defense procurement will not be met. Something very tragic will not happen. Thank God, the Russian army has existed for ten years without any new supplies of weapons. “There are a few critical technologies. 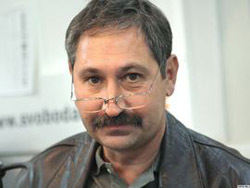 The first is Yuzhmash production. This plant and this design office perform support service for RS-20 missiles [also designated SS-18]. They comprise approximately a quarter to a third of Russia’s nuclear potential. These are reliable machines. We will switch to some Russian rocket association. But what is quality of that service, we do not know. “Second – Motor-Sich. In the event that supply stops, of course all the grandiose plans to build helicopters would be disrupted. We have tried to build near St. Petersburg production capacity for these engines. While they do not meet the target capacity, they are producing 50 to 60 engines a year. That does not correspond to the plans for the production of up to 100 helicopters per year. “The third is gas turbine engines, which are manufactured in Nikolaev. These engines are required for virtually all the new ships of the Russian fleet, except for nuclear submarines. Sergei Rusakov, the technical director at guidance system manufacturer Hartron, said late last week from Kharkov: “Our company does not plan to stop deliveries. All existing contracts we consider as valid. We are not taking action to stop the cooperation [with Russian buyers].” At Zorya-Mashproekt’s headquarters in Nikolaev, a spokesman said that the Ukrainian state military export holding, UkrOboronProm, “decides these questions about supplies”. Asked whether turbine deliveries continue to Russia, UkrOboronProm’s officials refuse to say.